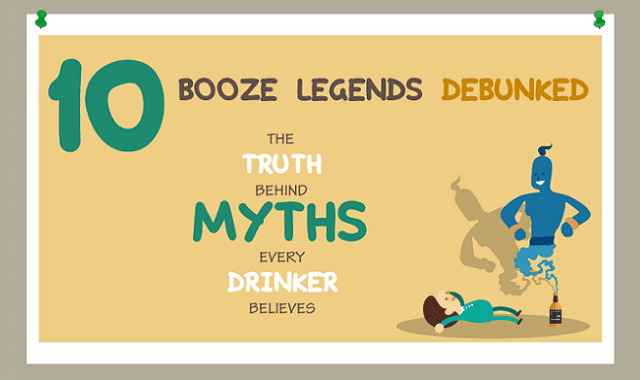 10 Booze Legends Debunked #Infographic ~ Visualistan '+g+"
You probably heard a variety of different alcohol stories like hangover remedies, mixing caffeine with alcohol and breathalyzer tricks. But can you determine the true ones from fiction? This infographic by Recovery Steps will help you know a couple of common mistaken beliefs about alcohol myths and how they were debunked.